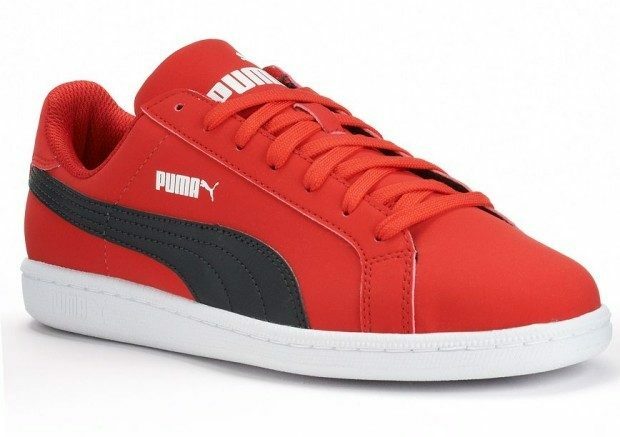 PUMA Smash Buck Men's Sneakers Only $22! You are here: Home / Great Deals / PUMA Smash Buck Men’s Sneakers Only $22! PUMA Smash Buck Men’s Sneakers Only $22! Head over to Kohl’s to order the PUMA Smash Buck Men’s Sneakers for Only $22! Originally $55, this is a steal! Available in Red/Black or Navy/White! Get classic style with these PUMA Smash Buck sneakers! Order online and pickup in your local store to skip shipping charges! These are on clearance, so expect them to go fast!